roxy taylor | ooh, presents! i wasn’t expecting any presents this year – other than my brand-spanking-new dell ultrabook from homer (hubs), which i may have mentioned on my twitter a time or two… HAH! – but the in-laws surprised me with some pretty good stuff. 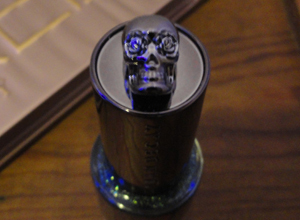 it’s a dark green based, greeny-goldy silvery shimmery (lol) polish and the bottle has a skull on top with wee crystal eyes! 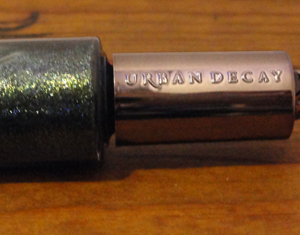 i haven’t actually used it yet, partly because i can’t be bothered to scrape off the polish i’m currently sporting, plus i’m not quite sure where my nail scraping knife is at the moment, but you can see some fantastic images, swatches and description at scrangie.com. 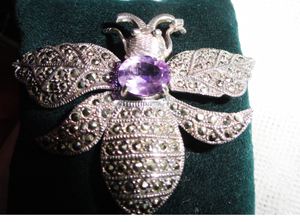 white precious metals are my favourite kinds of metal, and the marcasite just makes it even better AND unbeknownst to my mum-in-law, my late grandma’s birthstone is amethyst. i was very, very close to my grandma so that makes it even more special to me. 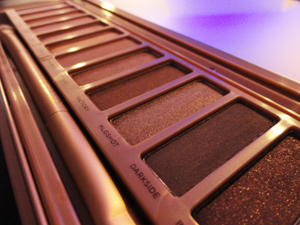 how sweet is this? it’s slightly more than 2″ from wingtip to wingtip, and the top wing on both sides is articulated. not a shabby little haul, eh? i’m really very touched by their generosity and thoughtfulness. 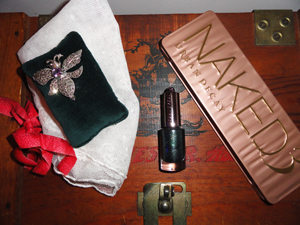 This entry was posted in fashion, i like my stuff, luxury, makeup, nail polish and tagged christmas 2013, marcasite, naked3, silver brooch, urban decay, zodiac nail lacquer. Bookmark the permalink.